As advisors, we often hear owners’ claims to know what the value of their company “is” even though they have never had an independent, professional valuation performed. More often than not, the owner’s number is not accurate, current or even appropriate for the purpose at hand. Join us to learn the different types of valuations needed depending on the users’ purpose, why the results can vary tremendously depending on the purpose and what your client should expect as they go through the process of getting an appraisal. Further, hear stories from the front line and how one business owner used the valuation process as a springboard for transitioning a company to the next generation. Meet Theresa Zeidler-Shonat expert in business valuations. Business Valuation Manager of Honkamp, Krueger & Co., P.C. 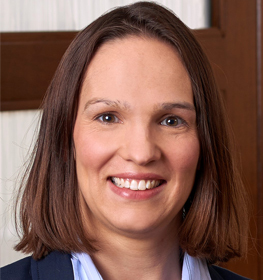 Meet Theresa Zeidler-Shonat, ASA, is a business valuation manager at Honkamp Krueger & Co., P.C. (HK). As a business valuation manager, Theresa provides high-quality, well-supported valuation services to businesses, banks, private equity firms and attorneys. She assists clients with estate and gift tax valuations, valuations for divorce purposes, business and transition planning, and financial reporting. Theresa’s experience includes valuations of business entities in a wide variety of industries that range from traditional retail, service, and manufacturing industries to rapidly-changing and high-tech and other intellectual property intensive industries. She has worked with clients ranging in size from traditional, small family businesses to multi-billion-dollar, multi-national firms; and with companies at every stage of development, from pre-revenue start-ups to well established, mature companies. 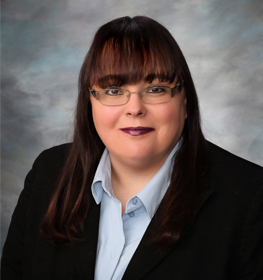 She is active in the American Society of Appraisers (ASA) governance at the international level and the Wisconsin chapter having previously held the roles of chapter president, chapter vice president, chapter secretary, and chapter advancement and recertification officer. She is currently one of five voting members of the ASA’s investment committee. Theresa earned her B.A. in economics from the University of Wisconsin – Milwaukee and is an Accredited Senior Appraiser (ASA).